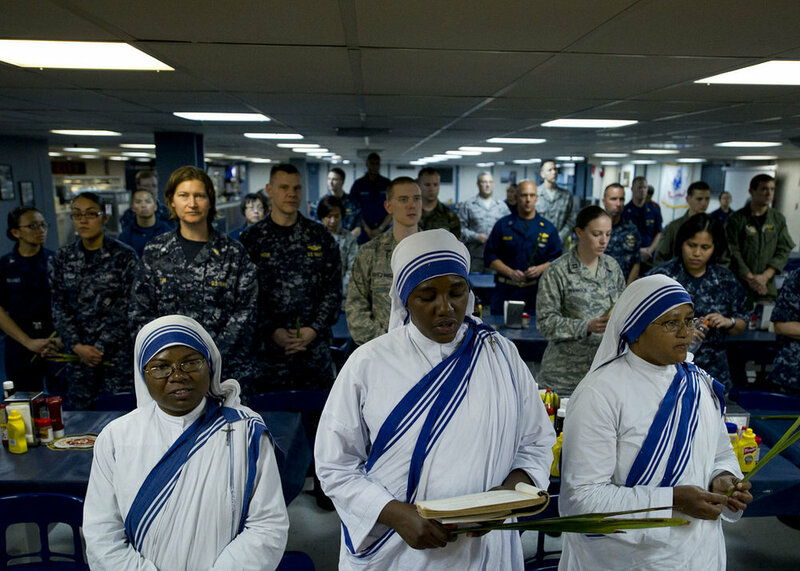 Nuns of the Missionaries of Charity from Jamaica sing hymns during a church service aboard a US military hospital ship in 2011. Photo by Jonathen E. Davis, US Navy. (COMMENTARY) The classically liberal British weekly, The Economist, is known for its authoritative, tightly written, analysis-infused news coverage. While I sometimes disagree with its editorial conclusions, I include myself among those who find The Economist a satisfying read. This article was originally posted at Get Religion.